Innovation In Tiles. At Ceramo Tiles we aim to offer a refreshing and innovative tile buying experience by showcasing an exclusive range of European product to reflect your lifestyle and realize your vision. Located in Osborne Park, Perth, Ceramo specializes in high quality ceramics and porcelains in the latest timber look tiles, concrete look tiles, stone look tiles, feature tiles and porcelain pavers. Being a family owned business we pride ourselves in providing a personalized service to all our clients for both residential and commercial projects. At Myaree Ceramics quality is our business; and it always has been. Since 1985, we have imported the finest in ceramic, porcelain and natural stone tiles, delivering cutting-edge technology and style to our Perth based showroom. With experienced staff, exclusive brands and a commitment to exceptional design, we are dedicated to helping you create the space of your dreams. Highly experienced and passionate about delivering high quality finishes, Onyx Tiling Solutions can work with you to achieve the results you want. Luxe Ceramics pride themselves on offering the latest on-trend quality tiles at affordable prices. We can also arrange professional installation of your tiles using only the best adhesives and grouts. We stock and import Tiles and Stone from around the globe. If there's something specific you're looking for, we are more than happy to source that for you. We can also help you with custom Cabinetry and Decorative/Exposed Concrete. Ceramic Tile Supplies has been operating in Perth and supplying to all areas of Western Australia since 1967. A business based on hard work and integrity, the Myaree and Wangara showrooms are conveniently located, and the staff are welcoming, happy to assist, and experts in their field. Our 2 showrooms, located conveniently north and south of the river, allow us to service and supply our retail, builder and renovator customers with an eclectic range of ceramic tile, mosaic and stone. Our commercial service is based on providing architects and interior designers with technical assurance as well as aesthetically beautiful products. Established in 1977, Odin Tiles + Coverings has been at the forefront of tile imports to Western Australia. We import tiles that are expertly made, visually appealing and highly durable. As a family-owned business we understands the importance of great customer service and premium quality products. We aim to provide the best possible service to all our clients and ensure total satisfaction by sourcing the latest concepts and designs. A family run & owned business, since our beginning in 2000, CASA stoneworks has never compromised on our service or quality of our finished stone projects. We believe these are the reasons why clients keep coming back to us for all their stone needs; 95% of our work is purely from repeat clientele or their referrals to friends & family. 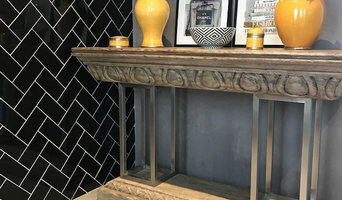 Ceramics International is a long established tile retailing company in Perth, providing a boutique style service and product. 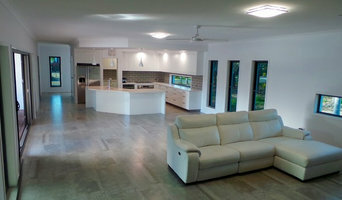 Since 1982, Ceramics International has built a strong reputation with home builders and renovators in Western Australia. Our goal is to continue to provide the most affordable products, while offering the best service possible. Welcome to m2 Tiles where you find everything you need to enhance your space. We strive to be unlike any of the other tile shops in Perth by giving you the biggest range at competitive prices. With over 25 years of experience in the industry, we are certain we have the best selection of kitchen and bathroom wall tiles Perth has to offer with a collection of styles and colours that cater to property owners of all tastes. No matter what style you are hoping to achieve whether it’s traditional or modern, we have the perfect solution for you. Buy porcelain tiles in Perth to complete that stylish bathroom or stone tiles for that ideal warm kitchen, we also have a range of terracotta and ceramic tiles to ensure we can cater to any space, style and budget. 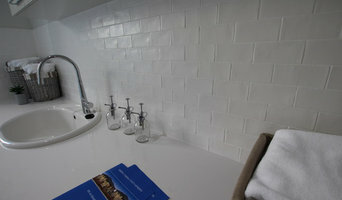 Simply let us know what you envision for your bathroom or kitchen tiling project and we’ll ensure that you achieve it. From ceramic tiling to a range of taps, cabinets and handcrafted basins, we have everything you require to make that dream space a reality. Take a look at our products today and get inspired to transform your space today. Please contact us for further information or assistance. For the last few years, Prestige Tile Gallery has grown from a small business in Osborne Park to a well-known supplier and installer of high-quality tiles for the whole Perth metropolitan area. As a major retailer of wall and floor tiles, Prestige Tile Gallery is proud to be of service to all our neighbours. Our showroom in Osborne Park features a product range and a level of service that are second to none in the tile marketplace. Please come and visit us for a memorable shopping experience! Opulence Marble and Granite is a small Boutique Marble and Granite business that specialize in craftsmanship and thinking outside the square. Our aim is to guide our customers through the process in a open and honest fashion in order to ensure the customers needs are met at all stages of their project. World class stone for a world class service. The aim of Zuccari is to showcase and retail the best stone products available. Specialising in natural stone, we have developed a purpose built warehouse outlining our extensive product range. Working with tiles and slabs in marble, granite, travertine, basalt, limestone, onyx, sandstone and quartzite. We have visited over twelve countries to source quality materials. We strive to make buying and using stone enjoyable, interesting and a user friendly experience. We want to share our passion for stone, and in doing so, have created a showroom more akin to an art collection than just a display of stone. Our team are all industry experienced and knowledgeable on all aspects of stone. We are available to talk to you about your individual requirements; please do not hesitate to ask! 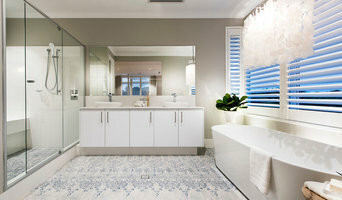 Many tile, stone and benchtop contractors in Perth, Western Australia work in tandem with plumbers in the bathroom. They can assist in a variety of common surfacing jobs, from installing shower pans to small grouting jobs. Furthermore, they can create and install murals, mosaics, and repair or replace any surfaces with chips, cracks or stains. Here are some related professionals and vendors to complement the work of tile, stone & benchtops: Interior Designers & Decorators, Architects, Building Project Managers, Kitchen & Bathroom Designers, Design & Construction Firms. Find Perth, Western Australia wall and floor tilers on Houzz. Look through Perth, Western Australia photos to find tile, stone and benchtop projects you like, then contact the contractor who worked on it. Browsing photos will also help you stay on top of the latest trends; subway tiles, for example, are trending in kitchen splashbacks, while stone and concrete benchtops are replacing tile or formica surfaces.